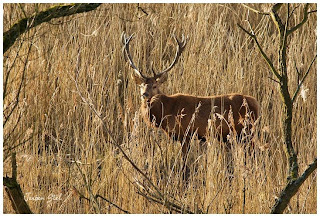 Spent the day today at nature reserve the Oostvaarders Plassen together with Jaco Ottevanger who is doing an internship with me this week. 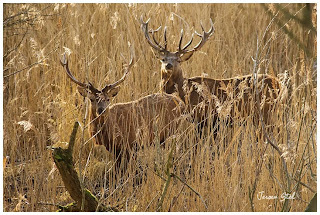 The Oostvaarders Plassen is one of the largest reserves we have in The Netherlands and it is one of my favorite places to visit in wintertime. 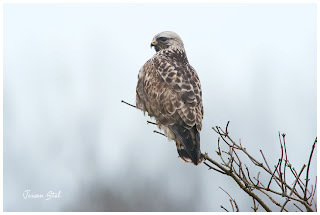 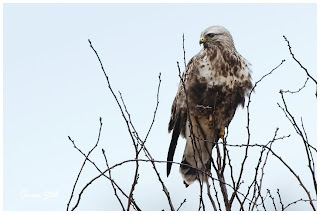 My intention was to try and get close to a Rough-legged Buzzard wich had been seen in the area several times and we got lucky as it flew past my car and landed in a perch only 15 meters away. 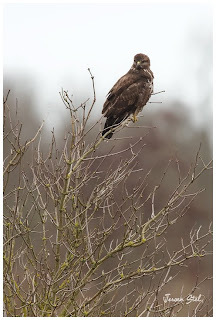 Besides the Rough-legged Buzzard there are always regular Buzzards to be found and another species on my wish list was the Red Deer who tend to stay hidden between the reed beds. 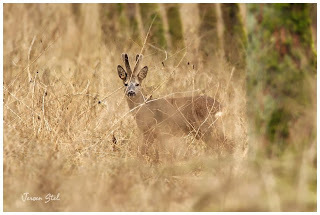 Besides the Red Deer we also spotted some Roe Deer. 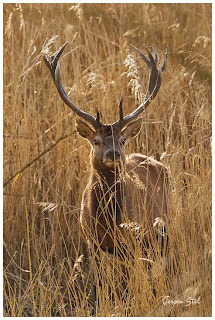 At the end of the day we spotted some Red Deer on the edge of the reserve and again we where quite lucky as they where all large males with beautifull antlers.